Bite analysis is used to determine the position of the lower jaw in relation to the upper jaw. With regards to its position in relation to the upper jaw, the lower jaw is not positioned in a permanent fashion; its optimal position is calculated repetitively by the brain on the basis of data supplied by small receptors in the periodontal apparatus, musculature, and jaw joint. Thus, the masticatory apparatus is able to adjust very quickly to the wearing downof teeth and tooth loss. Bite analysis will demonstrate the jaw relationship to the dental technician. In most cases, variability in the position of the lower jaw is noticed only upon waking in the morning. Many people sleep with their mouth open at night, and this posture erases the memory of the optimal position of the lower jaw from the brain. The result is a feeling that the teeth don’t fit together in the morning. It is only after a few chewing movements that our brain rediscovers the correct jaw position by means of the abovementioned sensitive receptors. In individuals with a full set of teeth, the position of the jaws is determined by the dentition. In individuals without any teeth or with very few teeth, the dental technician needs information about how the jaws relate to one another in order to prepare an accurate dental prosthesis. If the lower jaw is forced into an unfavorable position because of any reason; e.g., because of a bad dental prosthesis, it can cause facial and jaw joint pain and headaches. There are numerous techniques for taking a bite analysis, one of which is demonstrated here. First, the patient bites into a cotton roll for 10 minutes, so that memory is deprogrammed. Afterwards, the practitioner holds the patient’s lower jaw using a special grip and closes it, thereby pushing the mandibular condyles to the upper front. However, this technique has limited practical applications and does not apply to every patient; it should be used only in those patients who, because of severely worn out teeth, do not possess a clear dental arch or in those whose lower jaw cannot be positioned in a reproducible fashion. During the bite analysis procedure, a silicone squeezer is placed between the two toothless or sparsely toothed jaws. Based on the impressions of the jaw ridges in the squeezers, the technician can roughly position the plaster models and prepare a bite splint. With the aid of the bite splint, a second bite analysis is performed, during which the patient wears the bite splint instead of the squeezer. Therefore, determination of the jaw position is even more accurate. 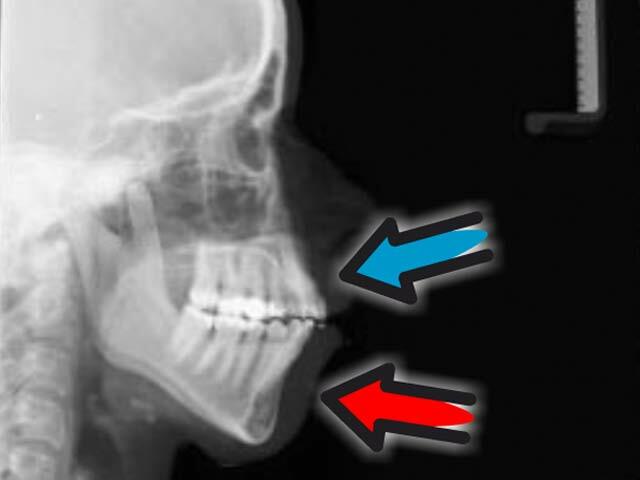 Nowadays, it is assumed that the ideal position of the mandibular condyles in the large joint socket is at the top front; therefore, one attempts to achieve this position in the lower jaw during bite reconstruction. In the past the lower jaws of many toothed patients were forced into a target position by means of new dentures and/or tooth cutting. This technique, however, is baseless. A bite analysis of patients with a good set of teeth and without any complaints is unnecessary because the individual’s bite is determined from their dentition. Although it may deviate from the ideal bite, this fact does not matter at all. Therefore, a bite analysis should be performed only if there is a lack of reference points, which may be observed in patients with a severely reduced bite or in a toothless patient. A new bite is rarely sought in patients with a full set of teeth, with the exception of those with facial and/or jaw joint disorders. In such cases, the remaining teeth must be cut to accommodate the new bite.